Which pair of shoes matches my pants? And which glasses match my (party)outfit? We mix & match all day! But why should your dog always wear the same collar? The new Beeztees nylon dog collars, harnesses and leashes are designed in such way, that all colours and designs match together and can be mixed. Summer day? Choose a bright color. Invited to a party? Choose a collar that matches the owner’s outfit. Choose a few collars and leashes for your dog and pick the best combination, at any time! The new Beeztees nylon range contains different colours and designs. All colours and prints are matching and can be combined in many different ways. 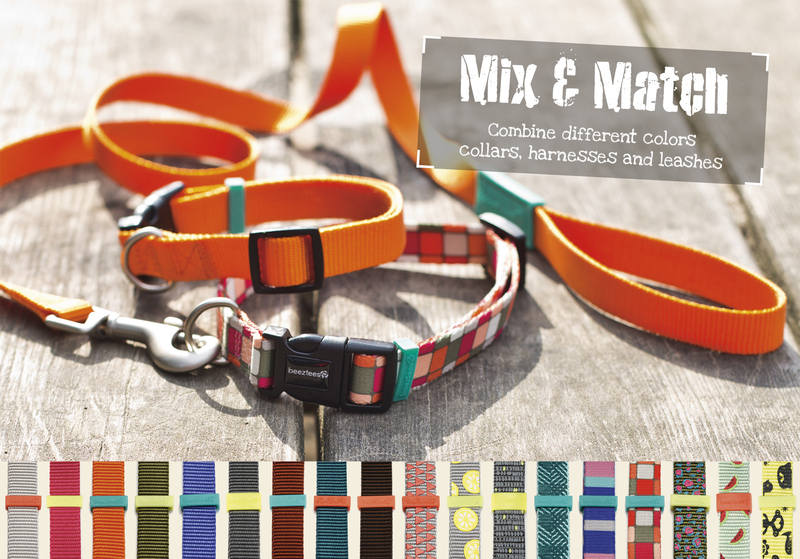 The nylon collars, harness and leashes are available in four different sizes.